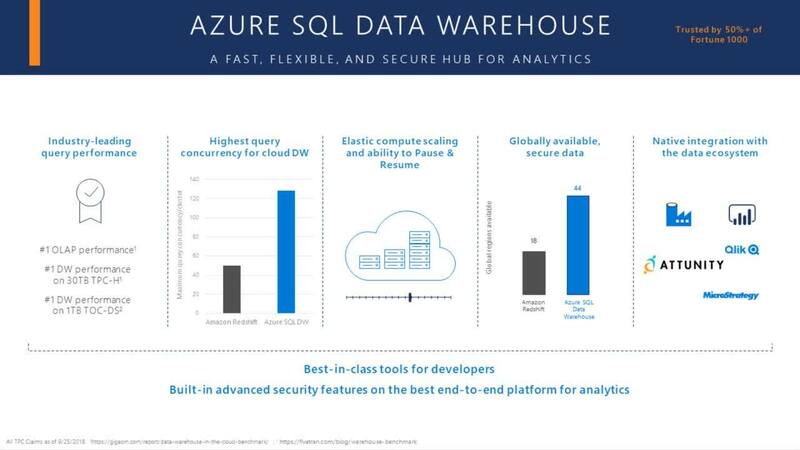 Microsoft Azure SQL Data Warehouse (ADW), is a fully managed cloud data warehouse for enterprises of any size that combines lightning-fast query performance with industry-leading data security. Cloud data warehouses like ADW provide a way to avoid large capital expenditures, provision quickly, and provide performance at scale for advanced analytic queries in the enterprise.ADW is breaking new ground with price-performance as revealed with recent GigaOm benchmarks. Price and performance are critical points of interest for organizations when it comes to selecting an analytics platform, because they impact total cost of ownership. This is great news for organizations who want to work with a modern data warehouse solution for their analytical workloads. Attunity has partnering closely with Microsoft for over 20 years to help our customers with their data-led business transformations. Attunity solutions such as Attunity Replicate and Attunity Compose are making it easy for enterprises to modernize their data environments on the Microsoft Data Platform. Attunity Replicate for Microsoft Migrations is a special, no cost offering for Microsoft customers to help migrate data from popular databases to the Microsoft Data Platform. Learn more here. Attunity and Microsoft recently ran a webinar titled “Migrate Data from IBM Netezza to Microsoft Azure” that described how you can move data from IBM Netezza to Azure SQL Data Warehouse using Attunity Replicate. To watch the webinar, click here. Or, to just watch the demo portion of the webinar, click here. Workflow Designer and Scheduler. Run all data warehouse and data mart ETL tasks as a single, end-to-end process. Schedule the execution of workflows to align with business and IT processes. Lineage and Impact Analysis. Automatically create metadata during design phases or implementation. Re-generate data lineage when changes are implemented. Monitoring and Notification. Monitor the status of all automatically generated tasks and workflows. Send proactive status alerts. Data Profiling. Validate data before it is loaded by identifying and repairing format issues and discrepancies. Data Quality. Configure and enforce pre-loading rules to automatically discover and remediate issues with values, formats, data ranges, duplicates, etc., while also implementing exception policies. 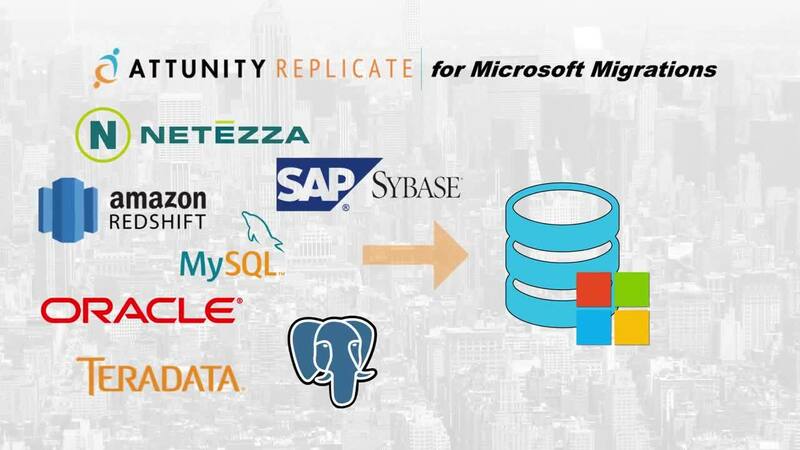 Download Attunity Replicate for Microsoft Migrations, a special offer for Microsoft customers to help migrate data from popular databases to the Microsoft Data Platform for free.